RTRFM bring you Alternative Frequencies: 40 Years of RTRFM, an exhibition at the State Library of WA. Alternative Frequencies: 40 Years of RTRFM is a journey through the sometimes turbulent, often uplifting and always community-focused history of RTRFM. 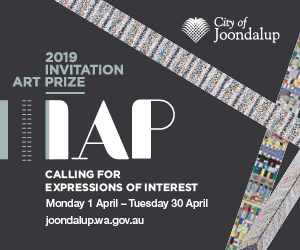 The exhibition celebrates the past, present and future of Western Australia’s longest running FM community radio station. Originally named 6UWA and housed on the grounds of the University of Western Australia, the station, was the first in Western Australia to broadcast in stereo. The station merged with Murdoch University to become 6UVS on the 92.1 frequency. Predominantly volunteer driven, the station became an incubator for student activism and left-of-centre music, operating as a counter point to commercial broadcasting. 6UVS became home to volunteer broadcasters who liked to push the boundaries of musical norms. Shows like Sunday Morning Coming Down, Drastic on Plastic and Vershun Galore played music rarely heard outside of the bedrooms of the very discerning collectors who presented these ground-breaking programs. After several battles for survival, the station lost its university funding. Volunteers banded together to start again and RTRFM was born. The station received a community broadcasting license and operated with its call signal being a play on ‘Arty radio’. “It’s a great community radio and without it I, personally, wouldn’t both listening to the radio. The passion that each presenter has bring forth a fantastic, expanding and infectious love of our community. Curated by RTRFM and the State Library, the trip down memory lane features a unique collection of audio, images, stories, memorabilia and equipment that not only tells the story of RTRFM, but the story of FM radio in Western Australia. 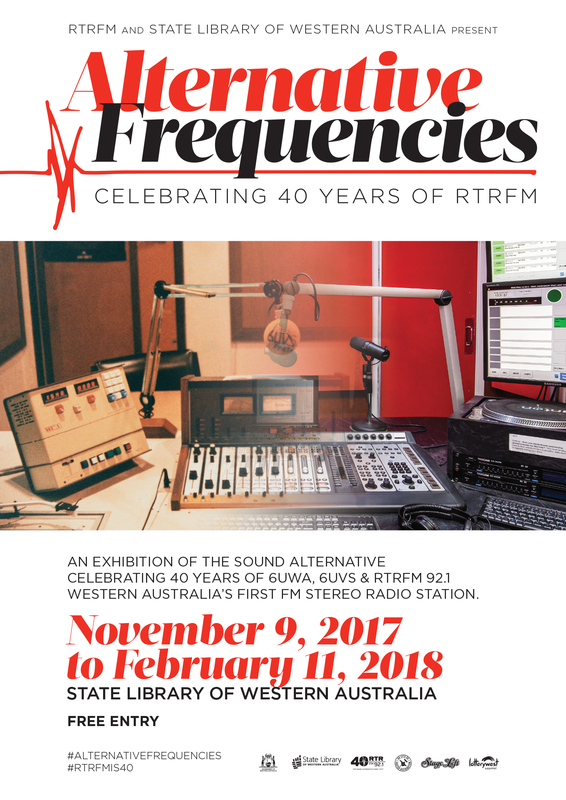 Alternative Frequencies: 40 Years of RTRFM runs until Sunday 11 February in the Ground Floor Gallery at the State Library of Western Australia.